Rome, July 25, 2017. With France enforcing a new law in July to protect cetaceans from maritime traffic, WWF calls attention to the fact that each year up to 40 fin whales are victims of collisions with ships in the Mediterranean. WWF calls for the protection of cetaceans to be extended to Spanish waters and for Spanish vessels to adopt anti-collision systems. Half of the fin whales found beached around the Mediterranean have died from vessel strikes. High risk zones are characterised by intense maritime traffic and the regular presence of cetaceans. With a growth rate of 3-4% per year, maritime traffic in the Mediterranean has almost doubled since 2002 and will continue to expand. The risk of collision is even higher in the Pelagos sanctuary (X 3.25) due to the greater concentration of cetaceans and the intense tourist traffic around Corsica and Sardinia. Pelagos is the largest marine protected area in the Mediterranean, located between Italy, the Principality of Monaco and France. In France WWF has managed to ensure that the installation of anti-collision systems is obligatory on ships larger than 24 metres sailing in the Pelagos Sanctuary, tourist vessels included. This law was definitively enforced in July and regards all French vessels which cross the Pelagos Sanctuary more than ten times a year. The law, however, concerns only vessels flying the French flag. For other vessels the adoption of anti-collision systems remains voluntary. In addition, the current designation of the Pelagos sanctuary doesn’t include Spain. Consequently, cetaceans’ habitat in Spanish waters is not protected. “As the greatest area of cetaceans’ habitat in the northwest Mediterranean is not included in the Pelagos sanctuary, WWF is supporting the extension of cetacean protection to Spanish waters to defend these species more effectively.” said Giuseppe Di Carlo, WWF Mediterranean Marine Initiative Leader. Although Corsica Ferries is a French company, it sails under the Italian flag and is thus not obliged to comply with the French regulation. Nevertheless this year the company has decided to equip some of its vessels with the anti-collision system REPCET. REPCET is the best technology currently available, with software based on data observation and sharing. Each observation of a whale made from a ship is transferred by satellite to a server which alerts other ships in the vicinity, allowing them to avoid collision. “Corsica Ferries confirms its commitment to protecting Mediterranean biodiversity, equipping four ships already this summer with the REPCET system. If the results of the first experiments are satisfactory, we will progressively equip the rest of the fleet.” declared Pierre Mattei, President of Directoire Lota Maritime - Corsica Ferries. “WWF applauds Corsica Ferries’ initiative in favour of protecting cetaceans and invites all Spanish companies to equip their ships with an efficient anti-collision system to avoid the death of numerous whales.” added Giuseppe Di Carlo. Simone Panigada, Giovanna Pesante, Margherita Zanardelli, Frederic Capoulade, Alexandre Gannier, Mason T. Weinrich. 2006. 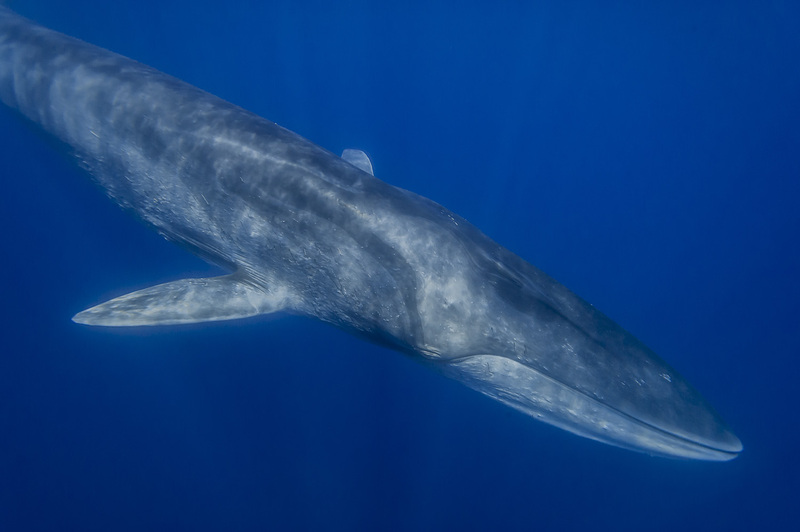 Mediterranean fin whales at risk from fatal ship strikes. Marine Pollution Bulletin. 52 (2006) 1287–1298. The anti-collision system REPCET is an innovative solution which has been developed by the association “Souffleurs d’Ecume”. The Pelagos Sanctuary is the first Mediterranean transboundary area created to protect marine mammals. France, Italy and the Principality of Monaco share its governance. Its 87,500km2 territory extends beyond the coastal zone of the three countries, making it one of the largest conservation challenges ever launched in the Mediterranean. Among the species present in the Sanctuary are the fin whale, the sperm whale, Cuvier’s beaked whale, the long-finned pilot whale, Risso’s dolphin, the bottlenose dolphin, the common dolphin, the striped dolphin and the monk seal. Main threats to the habitat include the possible collisions of cetaceans with the boats navigating in the area, pollution and overfishing.